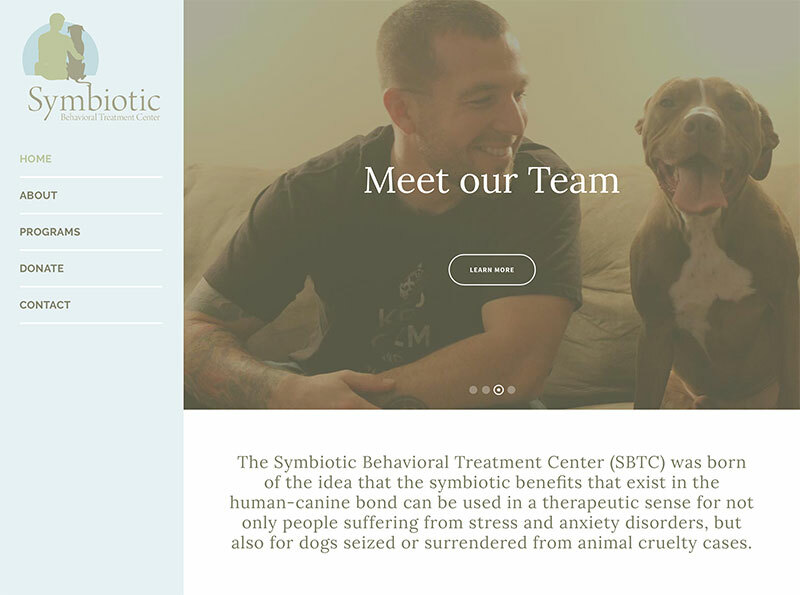 The Symbiotic Behavioral Treatment Center (SBTC) was born of the idea that the symbiotic benefits that exist in the human-canine bond can be used in a therapeutic sense for not only people suffering from stress and anxiety disorders, but also for dogs seized or surrendered from animal cruelty cases. 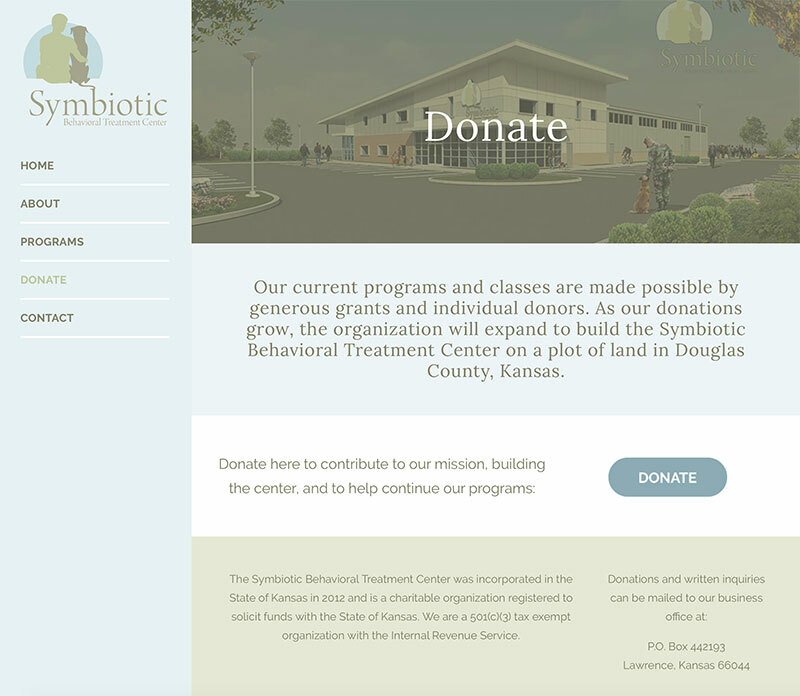 Once the organization expands, it plans to build the Symbiotic Behavioral Treatment Center on a plot of land in Douglas County, Kansas. 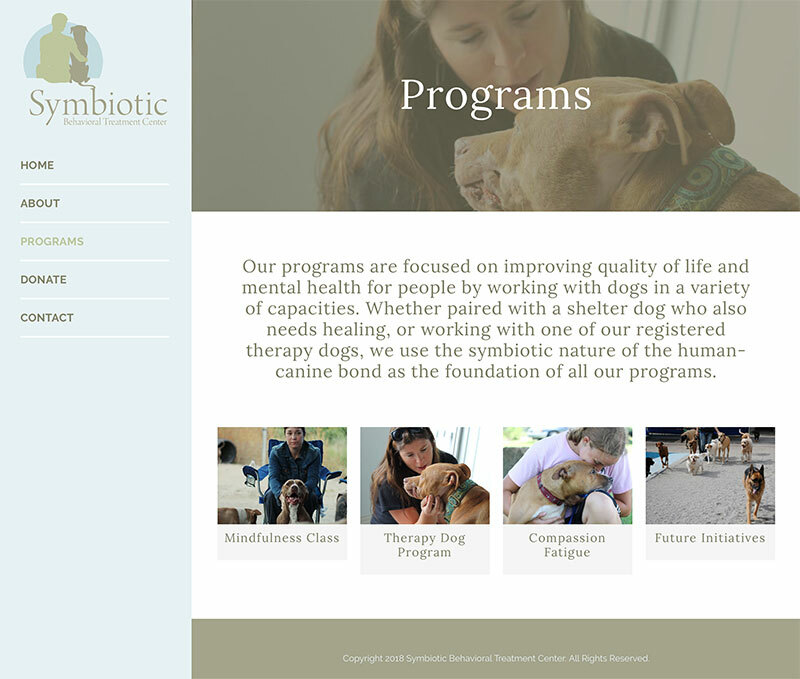 The website allows them to raise funds for the capital campaign.